Safari Construction Equipment Pvt Ltd is a Gujarat based high quality concrete mixer and innovative mini crane manufacturer since more than 20 years. Considering the market demand and a direct requirement for high quality rebar processing machines in India, Safari has launched new range of bar cutting and bar bending machines. By developing & manufacturing this bar cutting and bending machine, the company is entering Rebar processing segment of construction equipment & machinery. These new machinery will be displayed to the customers at Excon Construction Equipment Exhibition - Bangalore and Constro Building & Construction Equipment Exhibition - Pune, India. Bar cutting and bending machines follow the “Make in India” initiative and are of high quality as all of its components are made in India, with no parts being imported from outside the country. This also ensures that all spares are readily available and any break down on construction site can be easily & quickly fixed, thus, reducing downtime significantly. Currently, Indian market is flooded with imported machines which only have an Indian label, mediocre quality and hard to avail spares & service. The existing bar cutting & bar bending models in market are basically designed to be stationary, which causes overheads of hydra and labour requirement if the machine is to be moved at a different location. Safari’s made in India model is compact, comes with four wheels and a towing handle, which allows easy relocation of this machine. Bar cutting & bar bending machines have complete M.S. body which ensures that any repairing & maintenance is done easily & quickly as against the cast iron body provided by competition in market. These machines are robust and will last longer on construction sites, hence more sustainable for Indian market. Bar Cutting Machine is powered by electric three phase motor and is used for TMT bar cutting on construction sites. Specially designed clutch system provides safe operation. Highest quality of blade ensures precise and fast cutting of TMT bars. Bar Bending Machine is powered by electric three phase motor with planetary gear box. It is easily operated by foot. Bar Bending Machine is used on construction sites for bending of TMT bars mechanically. Special limit switch is provided for safe operation of the machine. Five different dies with pin are provided for types of bend required for TMT bars. Safari’s all India dealer and service network ensures prompt service and easy maintenance anywhere across the country. 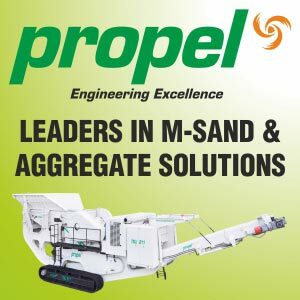 By addition of this line of machinery, the company becomes one point of construction machinery supplier to all its distributors, dealers & customers covering entire range of construction equipment like concrete mixers, tough rider, mini crane, tremix system, rebar processing machines and builders hoist.